Thank you. 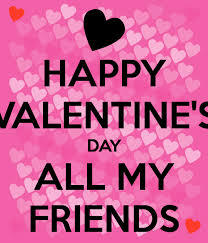 I wish you the same on this day of love. I have a saint to hold and cherish everyday. I apolgize for not getting back to you before now. I have been really struggling for a long time. This is the first weekend in a long time I feel mentally happy. Today is a good day to pamper and love who you are! Take care! Previous Previous post: What is a (true)friendship to you mean?